I thought I would share how I'm a part time blogger while I work a full time job. 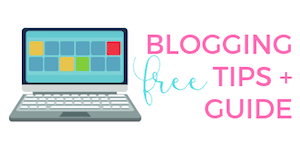 When it comes to blogging, there are no two schedules that are identical. Everyone seems to have long to-do lists, a million different things to do, virtual assistants, etc. I find it really fascinating to read what other bloggers are up to mostly because I'm nosy amazed by how much other people accomplish! On average, I spend 2-2.5 hours on my blog or blog related work a day. I still consider myself to be in learning mode and am actively working on improving my blog. 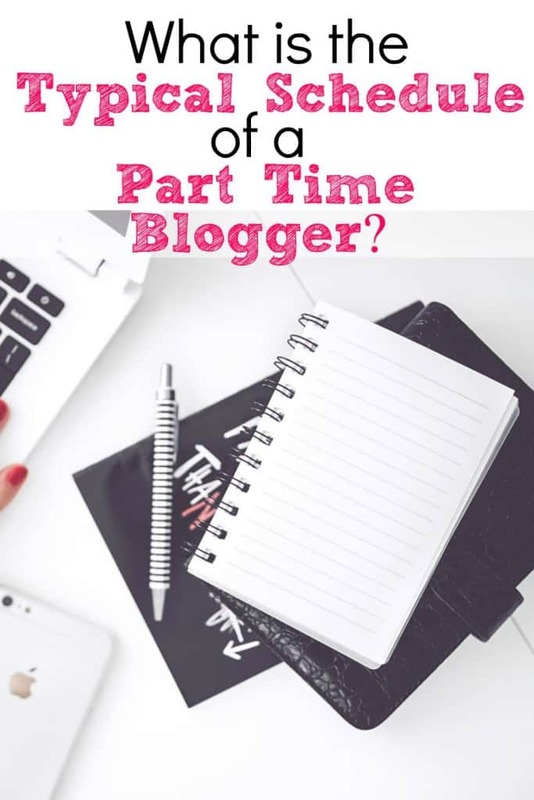 As a part time blogger, I wish I had more time to spend learning more about blogging! Since I'm in full time hustle mode in addition to my day job, I thought it would be fun to share what my average day looks like as a part time blogger. Now I could sugarcoat this and just write about what a day is like when I'm not at my day job. But let's face it – we are all doing a million things and are all super busy. So it makes more sense to write about a real, hectic day. The most realistic days include working my day job, blogging, taking care of my dogs, trying to have a social life and trying to sneak in some TV time on the couch. 5:30am – Alarm goes off and my dog wakes me up to be let outside. I debate whether or not to go back to sleep, but decide I should probably make some coffee and get ready for the day. 6:30am – 8:30am – Work on blog. Every day is slightly different, but there tends to be some patterns in my daily work schedule. I also work efficiently and the best in the morning. Do batch work, like look for stock photos for future posts. Even if I don't have a post written, I will look at photos and save the ones that I think I will use in the future. 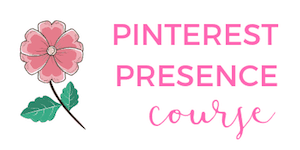 Or if I have a few photos and posts done, I will create and edit them in Canva. On my day's off, I actually spend about half a day working on my blog. This is usually geared towards random things, like updating a broken link, applying for affiliate programs or brainstorming new blog posts. -How to use Ibotta (another free cell phone app). You use it after you go grocery shopping and use your receipt. It's basically a rebate app, so you can earn anywhere from 50 cents to $5 off everything you buy. My favorite part about this app is that it's not always brand specific, like a lot of coupons are. So you'll be able to scan “any brand of bread” for 50 cents off, etc. If you do coupon – you can STILL use Ibotta and get a rebate. For the diehard couponers out there, this will often result in getting an item for FREE. Crazy, right? If you want to grab the Ibotta app and start making money off your grocery receipts, click here to get started. You will receive a cash bonus of $10 when you scan your first item! 9:15am – I pack up and drive to work. I debate if I should get Starbucks before heading in. 9:35am – Get to parking lot downtown. I curse the parking meter and pay $15 for the day. Now that I drive to work, I'm paying significantly more than my daily $6 bus pass. It hurts, but I'm saving well over an hour of my time than riding the bus. An extra hour lets me be more productive at home! 9:40am – I pass Starbucks walking to work and say no to myself. On my walk to work, I cover three city blocks and 2 traffic lights to get to my office. During this time, I check on Twitter and finish all my social media interactions. 10am – 6pm – I realize how much I like my job, but detest working in an office environment. I still manage to have a lot of fun with my coworker. The two of us work remotely from our NY headquarters and always have a ton of work to do. Realizing we have no chance of taking a break, we have a courier bring us coffees from Starbucks. 7pm – Grab the dogs for a walk and run errands. We live on the main street and everything is right outside my front door! We swing by the pharmacy (it's actually on the bottom floor of my building), stop at the atm, and finish at the grocery store. My favorite part of where I live is everything's outside my front door and walkable. 7:45pm – I make dinner, feed the dogs and tidy up, as well as check on Twitter or do some pinning on Pinterest. 8:30pm -10:30pm- Watch TV , eat dinner and blog. If my workload is light, I'll play around online or do some stuff around my apartment. 10:30pm- Plan my to-do list for the next day. I always feel more productive when I have a list. Overall, this schedule is a little hectic for me! During my work week at my day job, I am super busy. Usually by Friday night, I'm exhausted and end up zoning out at home. Every aspect of my life seems busy right now due to trying to do it all. I am really thankful to have found a job before moving. I would rather work both these jobs right now instead of moving and having no job at all. I also think it will be interesting to post my typical day as a part time blogger in a few months as I grow and learn new things. Everything is going to be different, especially because I will be working from home at least 50% of the time! This schedule sounds awfully familiar….. Wait a second…. It’s mine!! Minus a couple things, this is where I’m sort of at right now. I work a part-time job, run a dance studio, run a small marketing business, run a small farm, AND am trying to get my blog, Life’s A Dance, going. It will happen!! This post definitely helped to encourage me. Way to go for reaching your goals!!! This information was helpful I have tried working on my schedule before actually starting a schedule and this take up to much time so procrastinating so I will add steps to my planning. I spent around 3 hours to write a post. Every morning to read blogs. I still finding my time to focus on my job and blogging. I work on average 35 hours a week, go to school part time, and have just started a blog. Its so hard for me to find time to do everything! I am going to try to start waking up earlier and getting more done in the morning! And, how is your schedule now that you blog full-time, have product and then some? I enjoyed this post. This resonates well with me as I am part time blogger . This shows the determination to be organised and dedicated as a Blogger. I just began blogging a week ago and I really like reading this post. I am also working full time and would love to figure out a schedule so I can be most productive. Thank you for sharing yours! You’ve given me a lot to think about! Hi Elaine! Congrats on starting a blog – that’s awesome! I keep meaning to update and write a new blog post on my schedule these days as it’s totally changed. 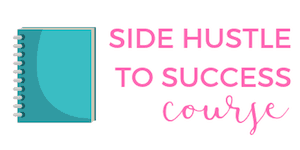 Working on a blog while working full time is tough – but the payoff is worth it!